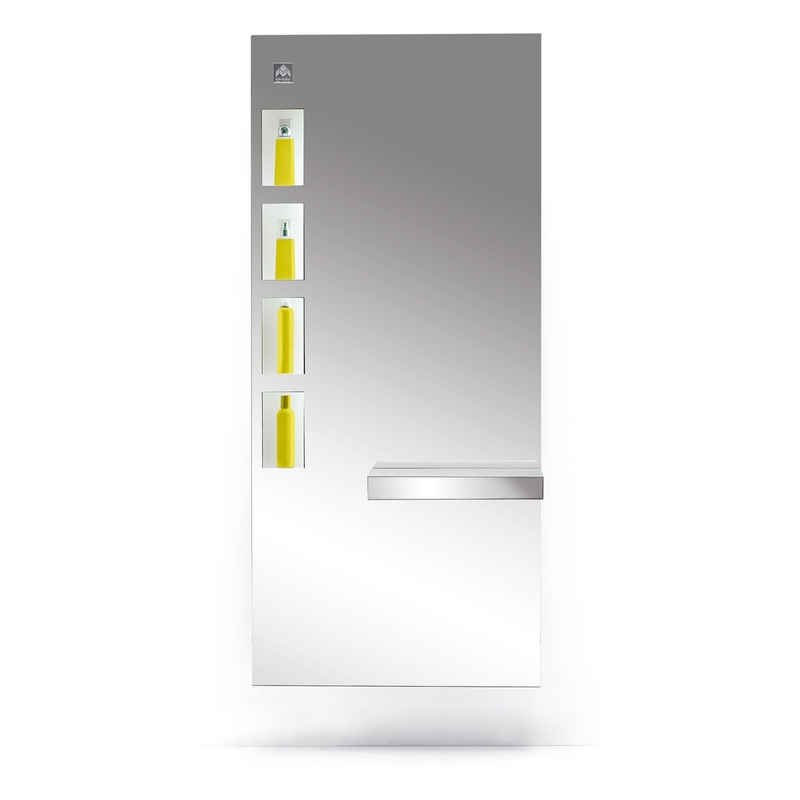 Wall styling unit with screen effect display. Working shelf in wood or stainless steel. Made in Italy.